The stunning Lyric Theatre is located at 29 Shaftesbury Avenue, London, W1D 7ES. The magnificent theatre has huge occupancy of 1000 and spread all across 4 levels. The central block of the stalls offer best view of the stage. 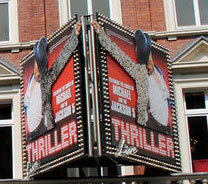 The famous London Westend Theatre is situated on the stretch of famous road called as Shaftesbury Avenue. This is one of the hugely popular sites of the theatre lovers in London. 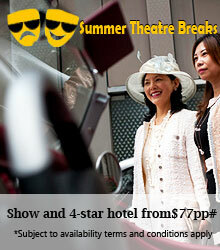 Apollo Theatre is located in the nearby location of the Lyric Theatre. Huge number of bars and restaurants are located here. Thus, this place is a famous getaway for the tourists and visitors. Both Piccadilly Circus and Leicester Square are located a walk away distance. Some of the famous pubs and popular clubs are located here. Lyric Theatre is located at an accessible location and can be visited by various modes of commutation such as buses, taxis, cars or tubes. For the disables guests and their carers, discounted tickets are available. The box office is equipped with an induction loop and infra-red system inside the auditorium. On the famous Shaftesbury Avenue, Lyric Theatre was the second to be constructed. Currently Lyric Theatre is the oldest surviving theatre. In the year 1888, theatre was officially constructed. Theatre has still retained various original features like the façade of an original 1767 house front, red and gold bars and foyer area. Since 1960, theatre has been listed as Grade II. During the initial years, theatre was hosting mainly comic operas. During the 20th century, Lyric Theatre showcased works of popular writers such as Eugene O’Neill, Dodie Smith, J. B. Priestley, Terence Rattigan and Noel Coward. Some of the famous actors have also performed at the Lyric Theatre likeVivien Leigh, Alec Guinness, Judi Dench and John Malkovich. Nimax Theatre Group is the current owner of the Lyric Theatre and hosts some of the famous plays and musicals. Some of the popular shows at the Lyric Theatre includes Cat on a Hot Tin Roof and Death of a Salesman.